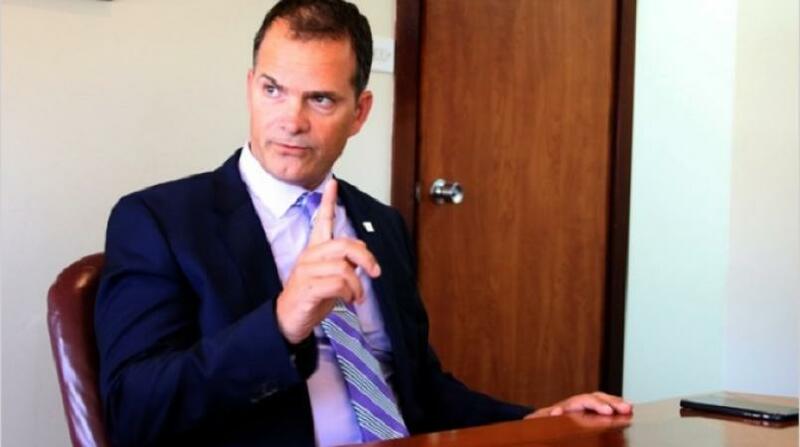 Speaking with Loop News CIBC First Caribbean’s Managing Director for Customer Relationship Management and Strategy, Trevor Torzsas said these new chip and PIN contactless cards will employ wave tap technology for transactions up to US$50 which will not need a signature or PIN number. “The decision to implement chip and PIN contactless cards in all our markets across the Caribbean is part of our effort to improve security features for all of our customers. Chip and PIN cards have a secure embedded microcomputer chip that holds cardholder data. They generate a non-reusable transaction code unique to the particular purchase”. The chip on the card is a random code generator that cannot be replicated. Unlike the traditional magnetic stripe cards, the “smart cards” now have an embedded microchip that generates a unique code with each transaction , making it difficult to compromise. In a big exercise conducted last year, CIBC FirstCaribbean put in place terminals and ATMs able to read these chip and PIN cards which sees its customers punch in a 4 digit pin number. The cards were introduced across the Caribbean last week and all CIBC FirstCaribbean customers can replace their old cards with the new chip and PIN contactless cards at no cost. “ These new cards mean that when we read the chip we know it is a real card and we will be disinclined to block the transaction. This will make overseas transactions less burdensome and our customers will become more confident which in turn will lead to more card usage,” said Torzsas. He cautioned that the new contactless cards will not eliminate fraudulent transactions but should seriously reduce them. Torzsas suggested, “ CIBC FirstCaribbean card holders should always cover their card to prevent people seeing the chip when using it .You have to be sensible and take a risk-based approach.